Turn your weekend into a hassle-free mini vacation with the Long Weekender package and save up to 50 percent on Sunday nights. 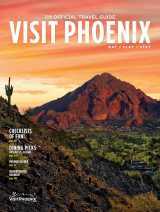 Whether you're new to the area or not, you're sure to discover you're new favorite Phoenix destination! Disclaimer: Offer subject to availability and requires a Thursday, Friday or Saturday arrival. Thursday arrivals require a minimum stay of four (4) nights and a maximum stay of five (5) nights. Friday arrivals require a minimum stay of three (3) nights and a maximum of four (4) nights. Saturday arrivals require a three (3) night length of stay. Blackout dates, early departure fees, and deposit and cancellation restrictions may apply. Rates will vary based on specific travel dates selected. Unless otherwise stated, quoted rates are per room per night, based on single/double occupancy and do not include taxes, gratuities, incidental charges or Resort Charge. Offer is subject to change and is not applicable to existing reservations or group bookings, and may not be combined with any other offer. To reserve this package by phone, please contact us at 1-800-HILTONS and request "The Long Weekender" package or Plan Code "POLWP1"